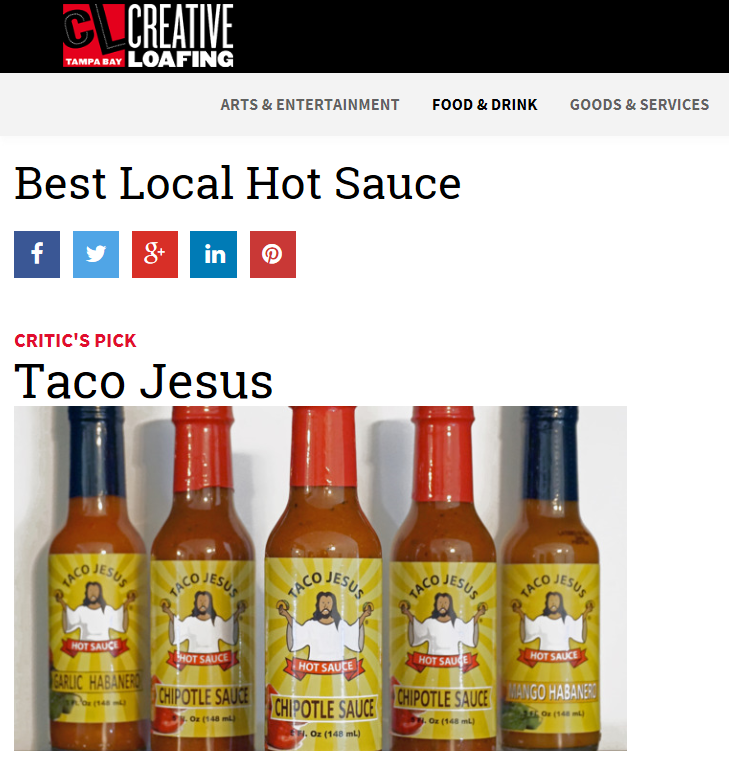 Critics agree … On the 8th day He created Taco Jesus Hot Sauce and it was good. We’ve been chosen Best of the Bay by Creative Loafing Tampa. If you want to get your hands on some of our award winning sauces, here are the Pinellas County locations where you can find our terrific sauces. Cooter’s Restaurant & Bar on Clearwater Beach is our newest retailer. Check them out for a great selection of our hottest sauces including Mango Habanero, Garlic Habanero, Hellfire Habanero and our Holy Ghost Pepper sauces. 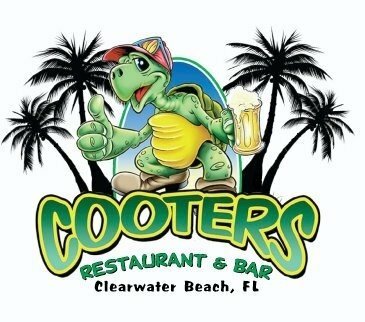 Cooter’s also affers a great selection of seafood and more on beautiful Clearwater Beach. 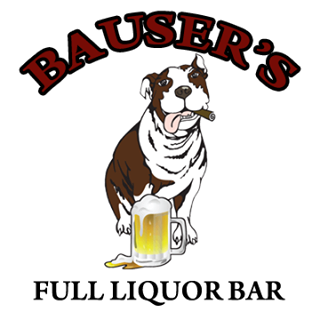 If you can’t make it to the beach you can visit our original retailer Bauser’s Full Liquor Bar in historic Dunedin, FL. Bauser’s carries our full line of products including limited edition products you won’t find anywhere else. A terrific local bar Bauser’s offers live music, and drink specials all week long. Stop in and tell Janet and the gang Taco Jesus sent you and ask for one of our great hot sauces while you are there. Who knows, you may even run into Taco Jesus himself turning water into wine. 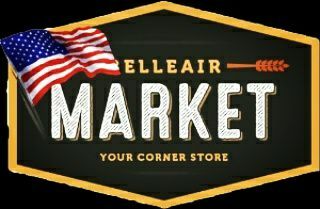 And if you find yourself in beautiful Belleair or Belleair Bluffs be sure to stop into the Belleair Market to pick up some Taco Jesus Hot Sauce, a terrific cigar, great bottle of wine or some awesome craft beers. They offer daily lunch specials and a down home neighborly feel. Stop in to say hi to Chris and the staff anytime for terrific service. Of course you can always find Taco Jesus Hot Sauces online at our web store tacojesus.bigcartel.com or you can find us at awesome local events like Creative Loafing’s Crafts & Drafts, St. Pete Indie Market and many other great events. Be sure to follow us on Facebook to stay up on where you can find us next and to get news about limited edition and seasonal sauces. If you are interested in becoming a retailer or having Taco Jesus participate in an upcoming event you may contact us here.